Jumping castles and amusement for hire in Newcastle, Maitland, Singleton, Swansea, Nelson Bay, Raymond Terrace and every where in between. What ever your event we can help we have a great range of Jumping Castles, amusements rides, carnival games, merry go rounds, inflatable slides, fairy floss plus heaps more available for hire. Contact us to day about your event. Rate and review Kids Amusements and Jumping Castle Hire in Shortland, New South Wales, Australia! 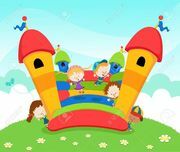 Share your experiences at Kids Amusements and Jumping Castle Hire with your friends or discover more Local Services in Shortland, New South Wales, Australia.